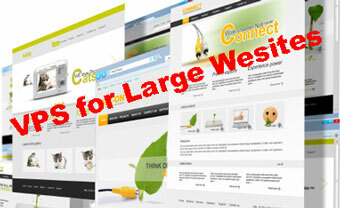 Large websites will inevitably make the biggest demands on a hosting company. Before moving a large site to a new service, it is important to evaluate it. Reputation, reliability, support quality and technology are all key factors in making a final decision. Large sites have had the opportunity to attract a dedicated following that will expect the best quality of service, so sites must always load quickly. Likewise, a large site should be able to migrate to a new service with all its existing features fully intact. One of the most compelling arguments for VPS hosting is cost. Large sites using VPS can save money by paying only for the resources used each month. The process of “upgrading” and “downgrading” services to meet a site’s changing needs should be easy and intuitive. Many large sites eventually migrate to dedicated hosting, but there is no need to take on that level of overhead if you can find an excellent VPS host. Media Temple is known for outstanding customer service and technical support that will give larger website owners true peace of mind. 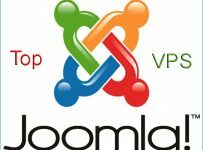 Media Temple has long been associated with WordPress hosting, but it is more versatile than it might appear at first. Its “Service Level Agreement” is one of the best in the industry, ensuring that your site will be available 99.999 percent of the time. Easy installation for hundreds of forums, shopping carts and other applications. Business-class analytics and automatic access to the popular Plesk control panel. Business hosting starts with one terabyte of bandwidth and one gigabyte of RAM. Hosting Source is known for its excellent dedicated servers, but it brings the same level of great support to premium VPS customers. For large business clients, Hosting Source is distinguished by its affordable managed services, which can optimize speed and eliminate maintenance tasks. This can create significant savings by reducing in-house IT. When you are ready to invest in the best VPS experience possible, Hosting Source will scale up better than virtually any of its industry rivals. For example, dedicated RAM tops out at a robust eight gigabytes, while monthly traffic can rise to an amazing ten terabytes. In many cases, these options can easily outperform a dedicated server. 100 percent uptime is guaranteed and VPS customers can get up to six IP addresses. Premium VPS service starts at five full gigabytes of RAM and three dedicated CPUs. Managed service options can help provide value comparable to dedicated hosting. Interserver bills itself as the best “unlimited” VPS host on the Web. Because of its highly flexible, cloud-based infrastructure, Interserver sites can easily bounce back from unexpected demands: More bandwidth or storage can be assigned to sites quickly. Of the services on this list, Interserver can provide the highest amount of storage, memory and bandwidth for customers. Purchasing the maximum number of Interserver cloud hosting “slices” will empower a large site with over a dozen terabytes of bandwidth! Easily add resource “slices” to your configuration to support your website’s needs. 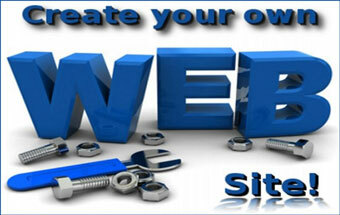 Enjoy 99.9 percent guaranteed website availability and support at any time needed. 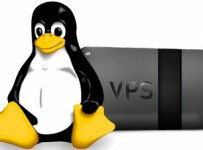 VPS configuration can be “maxed out” to get hosting comparable to a dedicated server.